S.O.S. Crown Heights and S.O.S. 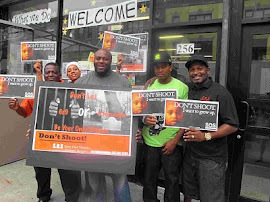 Bed-Stuy: Give to Stop Gun Violence and Save Lives! Give to Stop Gun Violence and Save Lives! I am writing to ask you to donate to the Mediation Center to help us continue to make our neighborhood a safer place. Your donation will go toward teaching young leaders in the YO S.O.S. program, who have been surrounded by a climate of violence, how they can stand up against violence and help their friends make positive choices and avoid violent conflict. Your donation will support our work with gunshot and stabbing victims at Kings County Hospital. Our Hospital Responder, Kenneth Edwards, meets with victims in the midst of their crises and helps them consider how they can call off potential retaliations and be safe in the future. So far this year he has met with 50 people whose lives have been transformed due to violence and provided support and guidance. 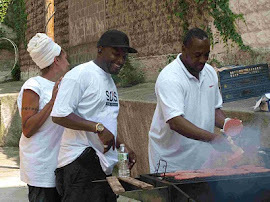 Your donation will support our neighbor services, which assisted more than 800 people last year, helping them build resumes, find jobs, get health care screenings, and connect to other services and agencies throughout the city. Your donation will support the mobilization efforts to involve the entire neighborhood in the movement to end gun violence. So far this includes 100 volunteers, 30 Houses of Worship that are active in the S.O.S. Clergy Action Network, eight barber shops that hold conversations about ending violence, 40 artists that contribute to our annual arts festival and 25 small business that count up the days between shootings and promote the public education materials designed to stop the shootings. Our work has caught the attention of national press including CNN Radio, the New York Times, Al Jazeera America. Take two minutes to watch an award winning film that profiles an S.O.S. staff member and be inspired by how dedicated the S.O.S. team is to stopping gun violence and changing the culture. We are dedicated to achieving lofty goals – saving the most vulnerable lives and changing cultural norms around violence. Our work is possible because of the support of people like you. Join us in the movement to end violence. Please make a contribution today! 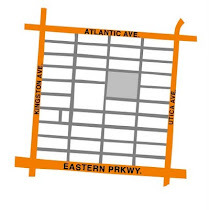 Donations by check should be made out to the “Fund for the City of New York” and mailed to the Mediation Center at 256 Kingston Avenue, Brooklyn, New York 11213. Please put the Mediation Center in the subject line. Or, you can donate online here, and select Crown Heights Mediation Center in the drop down menu. PS: Follow our progress on our blogs, Twitter, Instagram and Facebook, refer people to our programs, come volunteer, and join us at our events! Stay Safe This New Year's Eve!